In the mountains of Chin State, the air smells of smouldering firewood, and pine trees punctuate the purple and blue curves of mountain tops. The population follow hushed lives in the uplands, isolated and perched high in the mountains. For centuries, tribal warfare determined the boundaries between clans here. Many communities managed their land in a traditional system of shifting cultivation. The territory of a village would be divided into ’lopils’ [fields] including forest, firewood forests and the village itself – divided into different sections by the chief and respected as customary law. There was no singular ownership of land plots or clearly fenced perimeters. Before British rule, to live in a Chin community was to be defined by the collective. Communities farming the land worked side-by-side planting, harvesting and then moving to a new plot and letting the soil rest, in a system of shifting cultivation. This practice is proudly spoken of in most farmers’ stories about traditional Chin land management. However, the British brought in the novel idea of private land ownership, when a white piece of paper with an official stamp came to denote who owned what piece of land. However, this was not implemented everywhere. In Chin State, around the capital of Hakha, many villages still own land collectively, while some have private ownership. But this traditional ownership of land is soon to be interrupted. An amendment to the Vacant, Fallow and Virgin Lands Management Law (VFV) was introduced on 11 September 2018. It requires that all land considered VFV be registered within six months. If people don’t register their land within this timeframe, they will be considered criminals trespassing on their own land. Chin landholder Dawt Cung says he had land taken away in 1992, 2012 and 2016. In 1945, his parents held 195 acres, which were eventually passed on to him. He now has just 15 acres left to his name. Outraged, Dawt Cung took to the streets to protest. Others who had land taken from underneath their feet joined the protests. The Chin landholders travelled to Naypyidaw, Myanmar’s capital, 14 times to try and meet with the Minister of Agriculture. 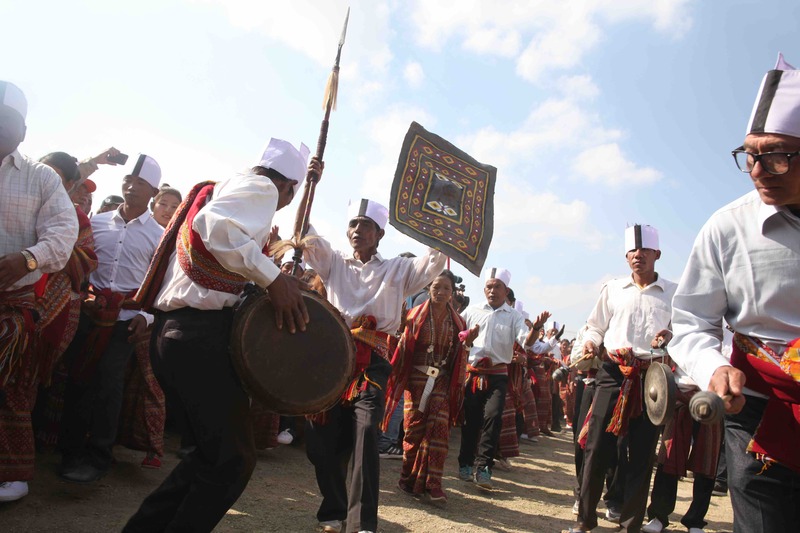 At home, they marched down Hakha’s main street, calling for an end to land grabs. “The situation is slowly getting better for us, but I am still very heartbroken and sad that the government officials use our land for their own business and profit,” says Dawt Cung over a cup of tea while sitting on cowhide stools in his home in Hakha. Still fighting to get his land back, he is now even more worried about the VFV amendment. He staunchly disagrees with its very concept. “There is no such thing as VFV land, […] so the government should stop claiming this. There are no natural resources in Chin State so every government officer wants to make business from our land,” Dawt Cung explains. The deadline for registration, 11 March, has passed. The VFV law was born from the concept of “wasteland” used by the British colonisers. The 1861 “Rule for the grant of waste lands” introduced this idea and lay the foundation for the development of plantation estates for the benefit of the British and local elites. The VFV Management Law finally replaced this British law in 2012. Under this law, if a landowner does decide to register their land as VFV, they won’t receive total official ownership over their land. Instead, they get a 30-year lease. For those who surrender their customary rights to apply for a VFV permit out of fear of potentially going to prison, the process is slow and complex. In many ethnic areas, people often don’t have a land ownership certificate – known as a form 7 registration in Myanmar. “The process is confusing and the rules and regulations have not been defined by the VFV committee,” says Land Advisor Glenn Hunt, who is working with OneMap Myanmar, a group that is creating an open, accessible spatial land data platform for Myanmar. “Until we see the fine print, […] communities remain alarmed,” he adds. Anyone who has their application rejected will be evicted without a stated right of appeal. Anyone convicted of trespassing will face a penalty of two years in prison and a fine of 500,000 Myanmar kyat (US$324). Deputy Director of the Department of Agriculture, Livestock Management and Statistics, Hlwa Moe defended the government’s penalties for anyone deemed to be trespassing. “I think we need action for any kind of laws, that’s why this punishment was enacted,” he said to Global Ground Media. Motive behind the law change? Myanmar has a long, messy history of land grabbing. Under military rule, land was confiscated from landholders for the army to build expansive barracks and work with cronies to build controversial mines and hydropower plants that left local communities displaced, often with no compensation. When the National League for Democracy (NLD) under Aung San Suu Kyi campaigned before the landmark 2015 national election, addressing land grabs was high on their manifesto. 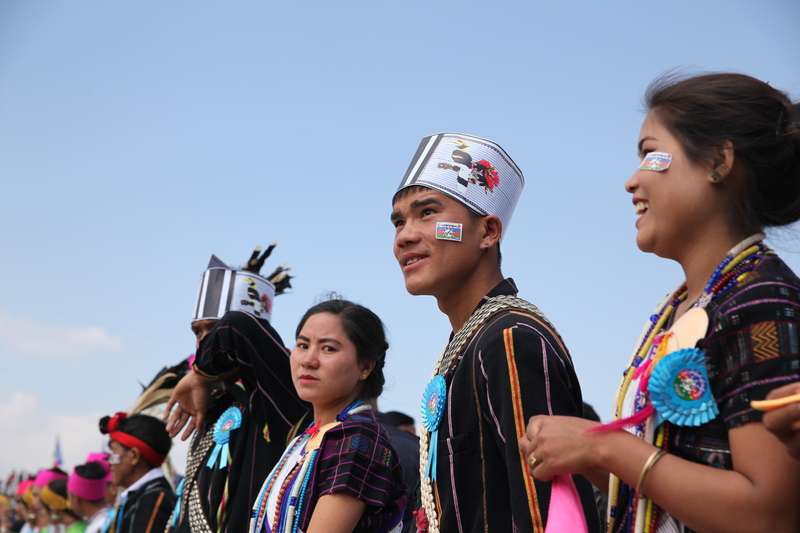 Many ethnic minorities hoped they would soon have their land returned to them once the NLD assumed power. Some of this land had been classified as “wasteland” by the military, while other areas are described in government records as VFV land. Yet these records are flawed, say many land rights groups, as they include confiscated wasteland and land that has been mis-recorded as VFV, when in fact it is still being actively cultivated by farmers. The United Nationalities Alliance, one such land rights group, has strongly objected to the VFV law from the start, even before the amendment in question was proposed. They view this law as part of a predatory policy that aims to let outsiders encroach on ethnic land. “The provisions granting 30,000 acres (12,140 ha) of land for 30 years are not for any tenant farmers, but clearly for domestic and international investors, cronies and opportunistic wealthy persons,” reads their statement, which was released in response to the VFV amendment. On the other hand, there could be malicious intent behind the move. “This law has consistently been used to grant large areas of land to investors, often seizing land under customary usage in ethnic areas,” says Ben Hardman, Deputy Legal Director from Earth Rights International to Voice of America. Myanmar is rich in natural resources, from jade mines in Kachin State to oil and gas deposits in Rakhine State. Although Chin State has the most VFV land in the country, most of the region is mountainous, with poor infrastructure and roads. This means that states with more fertile land for large-scale agro-intensive projects are more likely to have land taken. Alex Htoo, of Land in Our Hands, another land rights group, strictly condemns the very basis of this law. He believes it is an opportunistic regulation that could be used against ethnic minorities as a system to erase them. “This is another attempt by the government trying to take our ethnic land,” he states. If this law change was made with the positive intention of identifying vacant land that can be given to landless farmers, then clear protections are still needed for ethnic titled land. 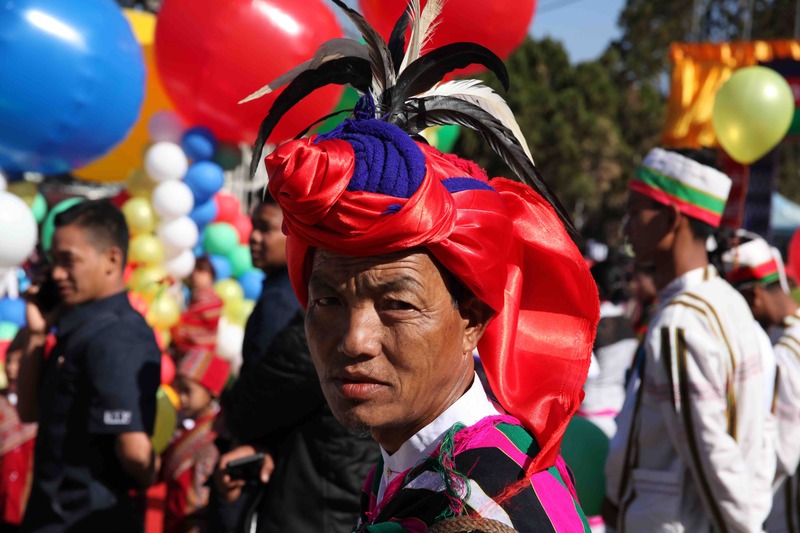 Myanmar is home to 134 ethnic minorities, and for centuries most have survived off foraging and hunting in the forests or farming through shifting cultivation. Importantly, under clause 30a, customary land is said to be exempt from the requirement to register for a permit. However, no definition is given for ‘customary land’. There is also no map or record which allow someone to determine whether their customary land is recognised or not. Working on land-related cases in Myanmar is controversial and dangerous. Ko Ye has received death threats, and a number of MATA members across the country have been killed or prosecuted for defending their land or exposing corruption. He says the implementation of this amendment needs to be halted so that the government can engage with ethnic voices in the decision-making process, instead of moving forward without community consultation. Meanwhile, Shwe Thien, Director of the Myanmar-based Land Core Group, argues that if the law is defined through an “inclusive and transparent consultation” between the government, ethnic leaders and land rights groups, then it will be perceived more positively. Myanmar faces various conflicts across the country, especially in the northern Shan State, Kachin State and Rakhine State. The UN estimates 244,000 people are internally displaced in Rakhine, Kachin, Shan, and Kayin states due to these conflicts, and they are expected to face some of the biggest challenges under this VFV amendment. In western Chin State, along the border with Rakhine State, fighting has surged recently. Following the Myanmar army’s ‘clearance operations’, which caused over 700,000 Rohingya to flee to Bangladesh, fresh clashes between the ethnic rebel Arakan Army and Myanmar’s army in Rakhine State have escalated this year. Near Paletwa township, Chin State, over 200 Chin refugees have fled to Bangladesh. These at-risk populations are not currently able to return home to apply for a permit. Even if they did return home, they are unlikely to have any paperwork to prove their land ownership since they left under duress. 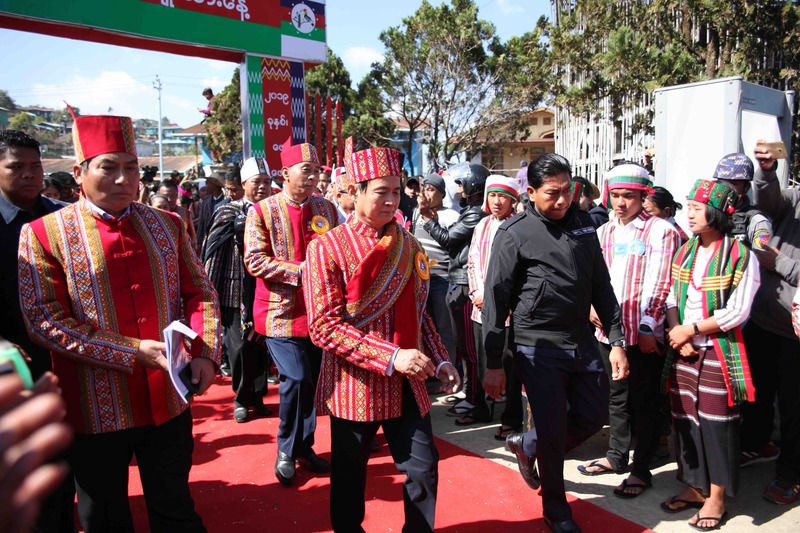 Most of the VFV land registered by the government is situated in the seven ethnic states across Myanmar. Justice for farmers was a central part of the National League of Democracy’s 2015 election promise. Protection of customary land and resolving land grabbing cases are some of the key demands by ethnic parties under Aung San Suu Kyi’s national peace talks. Therefore, the possibility of making people trespassers on their own land if they fail to properly register it has sparked loud outcries from ethnic rights groups all over the country. Even if landholders apply for a permit, the fact that it only grants a 30-year permit for the land erases generations of historical ownership claims to the land under their feet. “The Union Minister of Agriculture said that the VFV law is not for Chin State [because of the exception for customary law in the amendment], yet he told us that if you don’t register your land you will lose your land, so this is misleading,” Run Peng explains. Legal experts have also pointed out a lack of a dispute resolution mechanism if two people claim the same land under the amendment. Tim Millar, Myanmar Director of the land rights group Namati, adds that the law contradicts the positive steps taken under the inclusive National Land Use Policy released in 2016 when the NLD was first elected. “The government came up with this land use policy and took the energy to consult many different stakeholders, but then their very first law completely goes against the spirit of the policy,” he says. His team recently completed a survey across the country to gauge how many people know about this law change. They conducted 290 interviews across four states and found that 72 percent didn’t know about the VFV law or said they had heard about it but didn’t know what it was. When asked if respondents knew that customary land was excluded from the VFV amendment only 1 percent said they knew this. “They are being forced to choose between giving up customary tenure rights in exchange for the chance to apply for weak, restrictive land user rights on the one hand, or assert their customary rights, but risk dispossession and years in prison on the other,” explained Ben Hardman, Deputy Legal Director from Earth Rights International to Voice of America. “It will be difficult to obtain clarity over issues like customary tenure by amending existing land laws – as has been done with the VFV Law – rather than first adopting an over-arching Land Rights Law as envisaged in the National Land Use Policy,” the Myanmar Centre for Responsible Business (MCRB) said in a statement. The government signed and ratified the International Covenant on Economic, Social and Cultural Rights (ICESCR) in 2017, an important convention that enables marginalised groups to lodge individual complaints at an international level regarding violations of their socio-economic rights. But the MCRB says that several of Myanmar’s land laws, including the VFV, are not compliant. “We believe that implementation of this amended law should be halted, pending an expert review of its human rights impacts,” the organisation said in an open letter to the government. Legal experts agree that the VFV amendment will create problems for responsible investors, as well as for the formal and customary land users. Dawt Cung, the farmer who protested after losing land, fears that his grandchildren could suddenly be cut off from entering forests, waterways or regions deemed VFV land and from the land his family has lived on for generations.